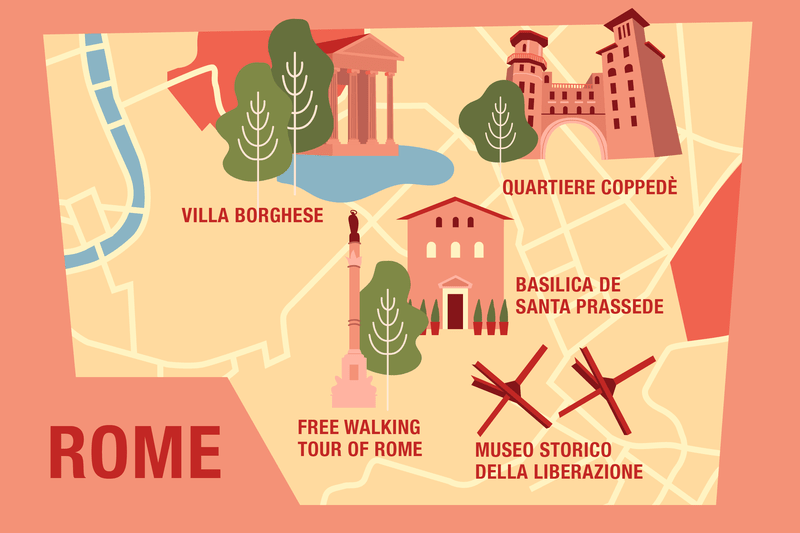 The best way to learn about the city’s most famous sights is to do a free Rome walking tour. Tours last two hours and run twice a day every day, but tours fill quickly so booking in advance is key. In addition to free Rome tours, you can also eat like a Roman on a food tour. Need help choosing the best tour for your Europe vacation? For a bit of old world charm, discover the 9th-century Basilica de Santa Prassede, the most interesting Roman church you’ve never heard of. The church dedicated to Saint Praxedes, who protected Christians from persecution and buried those she couldn’t save in the nave’s well. While there you will see a wealth of beautiful mosaics, and even what is claimed to be a piece of the column Christ was tied to before he was crucified. The Quartiere Coppedè, designed by Florentine architect Gino Coppedè, this whimsical neighborhood is one of Rome’s best-kept secrets. With a fantastical mix of sculpture, Tuscan turrets, gargoyles, frescoes, and gardens, there’s something interesting to see around every corner. Rome’s most beautiful park, Villa Borghese, is a must-visit free attraction. With museums, landscaped gardens, and lakes spread over 150 acres, you might want to bring a picnic and be ready to soak in the atmosphere. Visit Museo Storico della Liberazione to uncover modern history. As the former headquarters of the SS during the Nazi occupation, Rome's history offers visitors a chilling yet profound experience. The museum exhibition includes artifacts that document the Resistance including the 1944 Ardeatine massacre. Graffiti created by members of the Resistance is still visible in the cells where they were imprisoned. 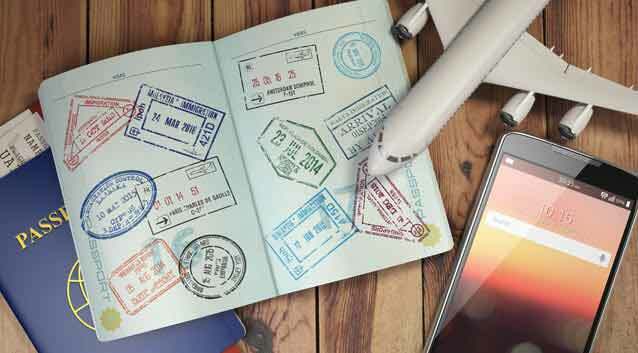 From simple language barriers to more serious issues like a lost passport or twisted ankle, travelers should be prepared for the unexpected and travel insurance can help with that. The feeling of being helpless is common for travelers when things go wrong, but these feelings are magnified when you are thousands of miles from home and may be unable to communicate effectively with the local population. Travel protection plans from Generali Global Assistance include a variety of services that can help you travel with more peace of mind, including Interpretation/Translation and Medical Referral, which can help you find local qualified doctors who speak your language. 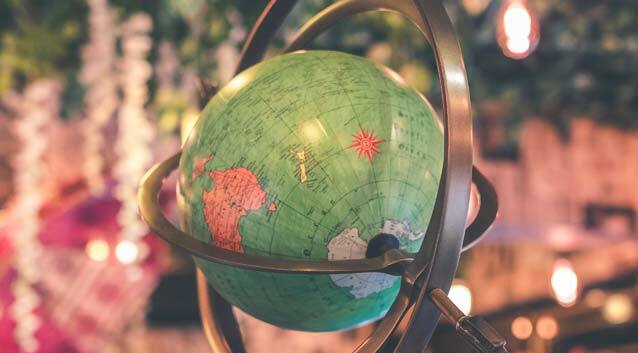 With so much at stake, such as the financial investment of a European vacation, international travelers should be sure to secure an appropriate travel insurance plan with Trip Cancellation and Trip Interruption coverages. Rather than asking whether European vacation destinations warrant travel insurance, you might want to consider the possible costs of certain unexpected issues if you don’t have coverage. After all, a free walking tour can suddenly become costly if you need medical attention or get pickpocketed and don’t have travel protection that can reimburse you and help you get through a stressful time.